The seaplane station is situated on the N.W. side of Sandbanks, the narrow promontory which forms the N. entrance point of Poole Harbour. Poole lies 2½ miles N.W. across he harbour. Bournemouth lies 3 miles N.E. Southern Railway station Bournemouth West, 6 miles, Southern Railway station Poole, 5 miles. One, width 18ft leading to hanger apron. Hauling out by hand. Concrete hanger apron extending below low waterline and suitable for use as a slipway. One, capacity 14 Walrus (folded). Small workshop equipped for overhaul I.C.E. 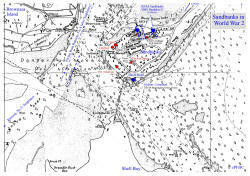 'W' flight of 700 catapult squadron formed at Sandbanks on July 12th 1943 with 6 Walrus and 4 Swordfish Floatplanes. Moved to RNAS Machrihanish on July 27th. Moved here from RNAS Lee-on-Solent 26.08.40. Disbanded 25.10.43. In May 1940 the premises of the Royal Motor Yacht Club (RMYC) at Sandbanks, Poole Harbour, and various others nearby locations were requisitioned by the Admiralty for use as a seaplane base. RNAS Sandbanks commissioned as HMS DAEDALUS II on May 15th, an out-station of RNAS Lee-on-Solent operating as a Basic Seaplane flying school, part 1 of the Seaplane training course; part 2 was done at RNAS Lawrenny Ferry. 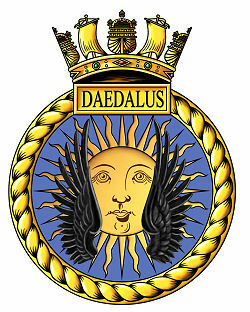 The 'DAEDALUS II' was later dropped and the station was borne 'on the books of Daedalus'. On August 26th 76 squadron moved here from RNAS Lee-on-Solent with a mix of Supermarine Walrus, with a small number of Fairey Swordfish and Fairey Seafox floatplanes; at least one Roc floatplane is believed to have been operated by the squadron. The squadron was under the command of Commander (A) ..(P) J. B. Wilson and comprised of a handful of pilots and observers. From December 1942 Commander Wilson is listed as Officer in Charge of RNAS Sandbanks as well as Commanding Officer of 765 squadron. By this time the need for dedicated Seaplane Training schools had passed and both the station and it's squadron were to be closed by the end of the year. The station reduced to Care and Maintenance status on October 9th on three months’ notice to resume flying, 765 Squadron was officially disbanded on October 25th 1943. No further use was made of the base and it was closed sometime in late 1945. 1 Reference to 'DAEDALUS II' is probably spurious; the name has been linked to Sandbanks, Lawrenny Ferry, Lympne, and Newcastle-under-Lyme. Only one establishment bore this name RN Aircraft Training Establishment Lympne/Newcastle-under-Lyme, which commissioned 01 January 1940, paid off 31.01.46. 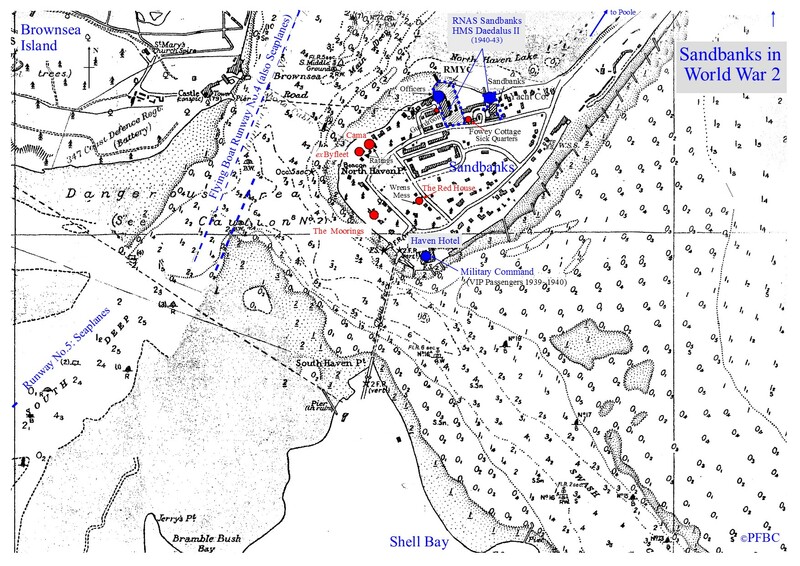 .RNAS Sandbanks does not appear in the Navy List until the April 1941 edition where it is listed under Portsmouth Command Establishments as part of 'Daedalus', in the June 1941 edition this has changed to 'on books of Daedalus'. Poole Flying Boats Celebration (Charity No.1123274) . 2012. "Newcomers and New Beginnings at Poole". [ONLINE] Available at: http://archive.pooleflyingboats.com/03 Newcomers-at-Poole-with-RNAS-Sandbanks.pdf. [Accessed 16 December 13].